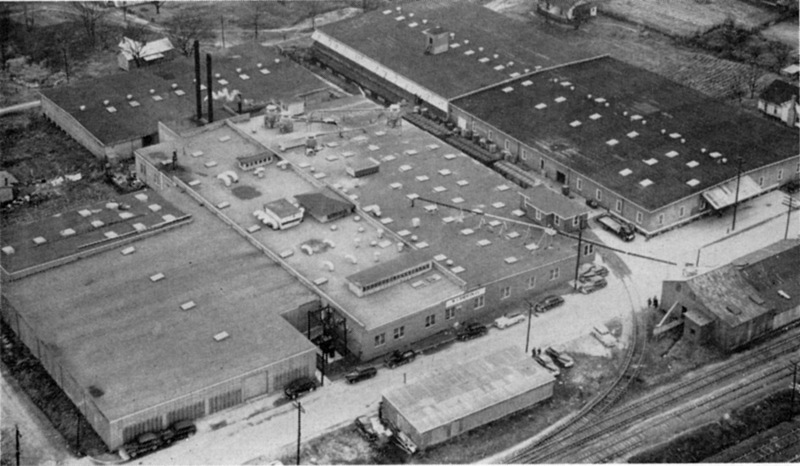 My late grandmother was an employee at WL Robinson Co.
My father was plant manager of W. L. Robinson Co. from approximately 1946 until it closed in 1969. I grew up going with my Dad to the company at least twice a week for 16 years. The building originally was the office section. 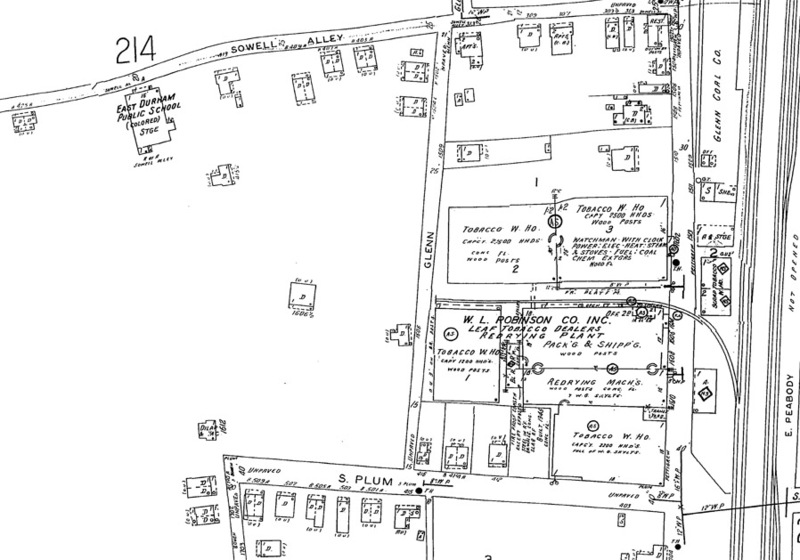 There was a second story that contained a sample room, a drafting room, and storage. The exterior stairs led to a loading dock. The front of the building was flat and approximately 12 feet from the street. I remember a lot about the building and the people that worked there. Mr. Robinson did not live on Chelsea Circle in Hope Valley. That was my father Thomas Moore Evins. He was president of W. L. Robinson Co when I was born in 1951. We lived on Chelsea Circle until we moved to Oxford when I was in 5th grade. He worked with my grandfather at W. A. Adams Co. in Oxford then and took over as president there when my grandfather retired. My father was Tom Evins. He was president there. What was your father's name? 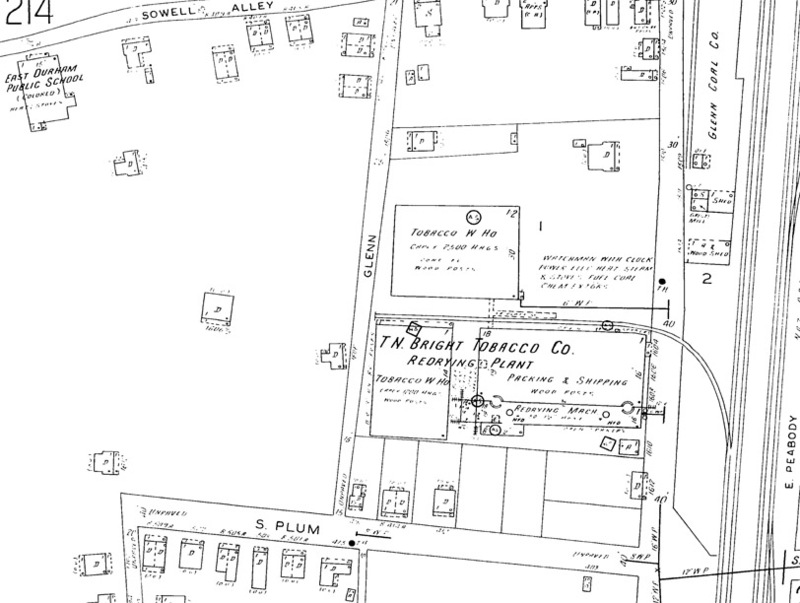 The Bright Tobacco Company - a redrying/wholesale company (much like the Venable Tobacco Company) appears to have been established in the 1600 block of East Pettgrew Street by the late 1920s/early 1930s. In 1935, the company became the WL Robinson Tobacco Company, which also dried, pressed, stored, and sold tobacco to manufacturers. By 1951 they were "one of the top ten employers of labor in Durham and also one of the larger tobacco buyers in this section." Much like the Venable Tobacco Company, WL Robinson would redry, process/press, and store tobacco in hogsheads for sale to end manufacturers. In 1951, their warehouses had a "capacity of about 10,000 hogsheads" and their payroll "between 5 and 6 million dollars a year." Robinson evidently started work with the American Tobacco Company before striking out on his own. He lived on Chelsea Circle in Hope Valley during the 1950s. 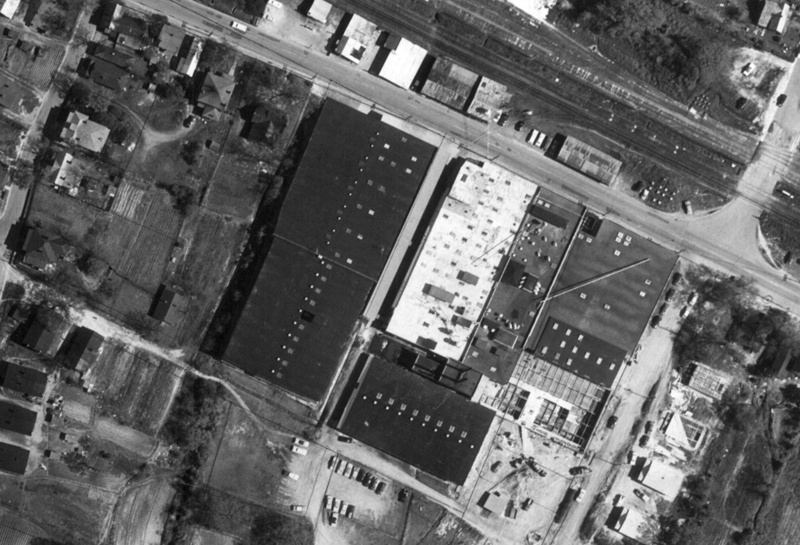 1959 Aerial photo of the complex. By 1972, the tobacco company was out of business. It appears that a glass manufacturer took over the plant. The buildings were still present in 1994, but had all been torn down (with the exception of one later building) by 1999. This building has recently been converted to the "Durham Green Flea Market" - I haven't been by, but it's evidently in operation on Saturdays and Sundays.